The movie "Harry Potter and the Deathly Hallows Part 2 " was released on DVD today. Have you seen the final chapter in the Harry Potter saga? Thinking of adding this DVD to your movie collection? One FREEISMYLIFE reader will win a Harry Potter and the Deathly Hallows Part 2 DVD - A $14 Value. HOLLA to the FREE! - The contest ends on Thursday, November 17, 2011 at 11:59am EST. - Prize will be fulfilled to winner by DBA Worldwide/Partners Hub via FedEx or UPS. No P.O. Boxes please. 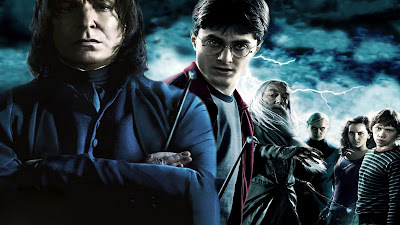 - You can get 1 extra giveaway entry for answering the Harry Potter Movie question at this link. - You can get 1 extra giveaway entry for tweeting the following message on Twitter "I entered the @freeismylife giveaway to win Harry Potter and the Deathly Hallows Part 2 on DVD http://bit.ly/vK0Ad2"
Disclosure: The giveaway prize will be provided by DBA West. This post contains affiliate links. Random.org has spoken! Out of 212 entries, Random.org has picked #54. Congratulations to the winner of the Harry Potter and the Deathly Hallows Part 2 DVD - Kay Lynn of San Diego CA !!! !